Morticia Addams from TV Zeigen. 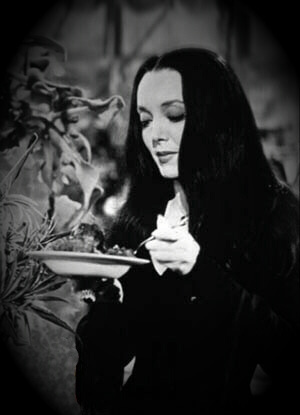 Carolyn Jones as Morticia Addams in the original tv show.. Wallpaper and background images in the Addams Family club tagged: the addams family morticia carolyn jones. This Addams Family photo might contain zeichen, plakat, text, tafel, schilder, and poster.